Europeiska unionens stadga om de grundläggande rättigheterna (EU-stadgan) innehåller bestämmelser om mänskliga rättigheter. Genom Lissabonfördraget, som trädde i kraft den 1 december 2009, blev stadgan juridiskt bindande för medlemsstaterna och unionens institutioner när EU-rätten tillämpas. Just nu utvecklar EU-kommissionen i samarbete med flera universitet och nationella institutioner CharterClick! som är ett verktyg för att underlätta för enskilda och jurister att se om EU-stadgan är tillämplig. Med verktyget ska enskilda lättare kunna ta reda på om en kränkning av de grundläggande rättigheterna har sket. Syftet med projektet är att ta rättigheterna närmare medborgarna. Lagen som verktyg medverkade under en workshop om CharterClick! tidigare i januari vid Uppsala universitet. Flera civilsamhällesorganisationer och myndigheter deltog i diskussionerna om hur den kunde bli mer användbar i det löpande arbetet. EU-stadgans artikel 21 förbjuder diskriminering på grund av bland annat kön, etniskt ursprung, sexuell läggning och funktionsnedsättning. Av betydelse är även artikel 53 som slår fast att stadgan inte får tolkas så att den inskränker mänskliga rättigheter enligt unionsrätten i övrigt, internationell rätt och särskilt Europakonventionen. Eftersom EU är part till konventionen om rättigheter för personer med funktionsnedsättning (CRPD) bör stadgan tolkas i ljuset av bestämmelserna i konventionen. CharterClick! beräknas publiceras senare i vår på projektets hemsida. Paul Lappalainen emphasized the need for civil society to become more effective concerning the writing of new laws as well as the need to play an active role in the enforcement process. Below there is a selection of videos from the two days. The videos are in English. Subtitles are available in both English and Swedish by clicking on the subtitle symbol. Video with Adolf Ratzka’s introduction to the ideas behind the Law as a Tool project. Prior to the conference, Adolf Ratzka interviewed Sid Wolinsky, one of the United States’ leading lawyers focused on the rights of people with disabilities. 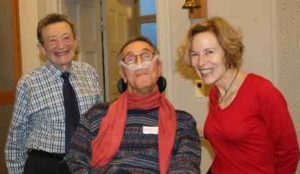 Since the 1970s he has contributed to the development of the rights of persons with disabilities, primarily through the use of class actions and other high impact strategic litigation. Wolinsky is a founder of Disability Rights Advocates (DRA) in Berkeley, California as well as other public interest law firms, including one in Hungary. He is currently a supervising attorney at Disability Rights Advocates, and continues to be a part of the movement towards greater protection against discrimination related to disability in the United States. In the interview, Wolinsky talks about how Disability Rights Advocates functions and, for example, the cooperation with pro bono lawyers from private law firms. Wolinsky emphasizes that rights of people with disabilities are an issue of civil rights. He also pointed out that positive results in disability cases also leads to changes that benefit persons without disabilities. Film with Adolf Ratzka’s interview with Sid Wolinsky. Sid Wolinsky As a keynote speaker, Sid Wolinsky emphasizes the importance of finding cases that can give a major impact on the lives of persons with disabilities as well as the importance of having courage in bringing those cases. Courage is important in that there is often little case law and you are challenging strong established interests. He points out that in the United States this is one reason why you cannot rely solely on government anti-discrimination authorities for enforcement. Film in which Sid Wolinsky explains how Disability Rights Advocates works strategically for social change through litigation. Pat Kirkpatrick was the second main speaker. She was also a founder of Disability Rights Advocates. For 30 years she has been engaged in fundraising within nonprofit organizations. Kirkpatrick is today a Fundraising Consultant at Disability Rights Advocates and also has responsibility for volunteer recruitment. The agency started basically from zero in terms of resources, but after many years, it has become stronger and independent through strategic and innovative work with fundraising. Fundraising is an area in which Swedish organizations seem to have a lot to learn. The following panel, Annika Jyrwall Åkerberg, lawyer at Civil Rights Defenders, Susanne Berg, director of politics and methodology at STIL (Founders of Independent Living in Sweden) and Andrea Bondesson, lawyer in the Swedish Disability Federation’s Project From Talk to Action, brought up their perspectives. Among other comments, Susanne Berg emphasized that Swedish law in practice pushes the parties towards conciliation, leading to an insufficient development of case law. ”Now is the time make sure that the cases get to court,” she said. Film in which the panel comments on Sid Wolinsky’s and Pat Kirkpatrick’s presentations. The first seminar on 25 November 2016 examined the role of lawyers and lawyering in the enforcement of discrimination law concerning persons with disabilities. Gerard Quinn participated in the seminars through a pre-recorded video. He is a professor of law and director of the Center for International Disability Law and Policy at National University in Galway, Ireland. 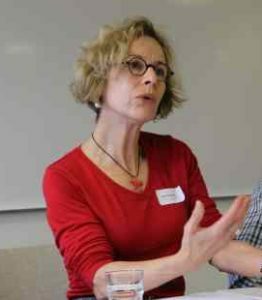 They have masters and doctoral Courses as well as a summer school focusing on disability and equality as human rights issues. Quinn is seen as one of the ”architects” behind the Convention on the Rights of Persons with Disabilities (CRPD). He is also on the scientific committee of and the EU’s Fundamental Rights Agency (FRA, Vienna). Gerard Quinn talks about how EU law and CRPD can be used at the national level. Legal cases and political processes are as important as the rights themselves. The process of change makes them real and tangible to the public. Quinn points out that European lawyers are getting better at using arguments based on international human rights law, but there is room for improvement. Establishing law clinics that engage law students in bringing cases to court is one way to push the legal processes forward which in turn can lead to increased knowledge and interest among lawyers and the rest of the legal community. Setting up summer schools based on a cooperation between law schools and law societies (bar associations) is another way of contributing to increased awareness and implementation. Gerard Quinn’s video created for the conference and seminars. M.G., Chair of the Swedish Section of the International Commission of Jurists (ICJ-Sweden), and Stellan Gärde, Chair of Applied Human Rights, reflected on the role of lawyers in implementing the protection against discrimination. ”The legal tradition in Sweden is not to go to court, not to litigate, but to investigate,” according to M.G. They discussed the need for a greater and more creative role for lawyers, touching on topics ranging from pro bono work, to improved training regarding human rights, to the need to focus on discrimination law/equality as a key human right and constitutional issue in the cases that are taken to court. Film in which Stellan Gärde and others reflect on the jurors’ role in implementing the anti-discrimination. 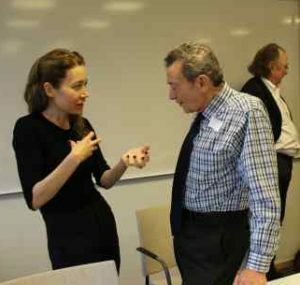 The second seminar was held at Ersta Sköndal University College and focused on the role of civil society in the enforcemnt of equality law in regard to disability and the strengthening of human rights. 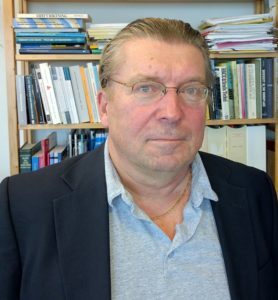 Lars Trädgårdh, Professor of History and Civil Society Studies at Ersta Sköndal, has a particular focus on the power or lack of power in civil society. Gerard Quinn’s video emphasised the importance of civil society engagement in the development of anti-discrimination law as well as the enforcement of those laws. It is the active civil society involvement which will lead to laws and public policies that actually have a greater impact on behalf of persons with disabilities. Quinn describes how civil society involvement contributed to the Convention on the Rights of Persons with Disabilities. He points out that the Convention would not have come about without the engagement of civil society organizations around the world. Among other things he said that the involvement of civil society upholds the visibility of the issues and the need for change. 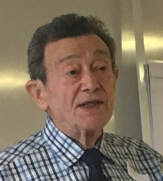 Sid Wolinsky emphasized the support by and engagement of the disability movement is in general a key component in the litigation of high impact cases. He works closely with US disability organizations. Without support in the disability movement, there is a risk that good cases will not reach their potential impact. Lars Trägårdh and Adolf Ratzka, wrapping up the seminar, discussed civil society engagement and its potential with Pat Kirkpatrick and Sid Wolinsky, as well as the audience. 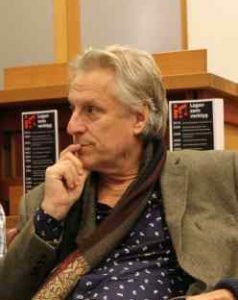 Among other things, Lars Trägårdh pointed out that we are not very comfortable with the ”return of charity” in Sweden, but that the structural shift taking place means greater opportunities for civil society to assert itself. 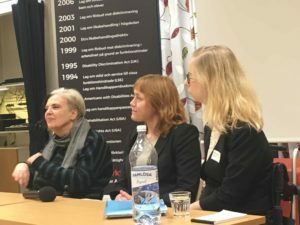 Video in which Lars Trägårdh and Adolf Ratzka talk with Pat Kirkpatrick and Sid Wolinsky as well as the audience about civil society and the law. Please send us your comments on the videos!